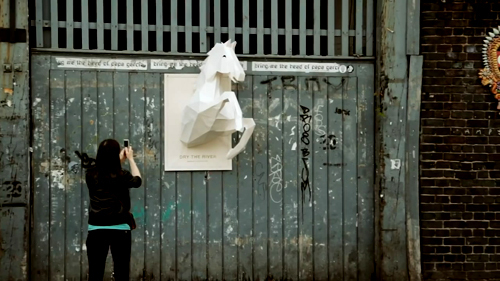 Dry the River created these huge paper-craft horse posters in collaboration with FOAM creative Xavier Barrade. 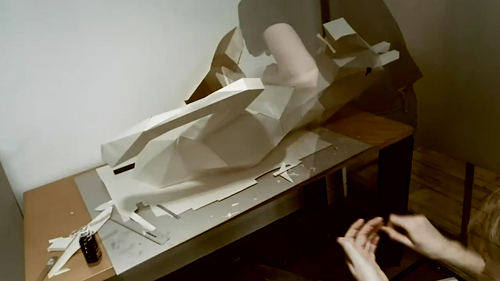 This short film shows the posters being crafted and fly-posted. Xavier designed the horses in 3D with Google Sketch Up before printing out and assembling the component parts. 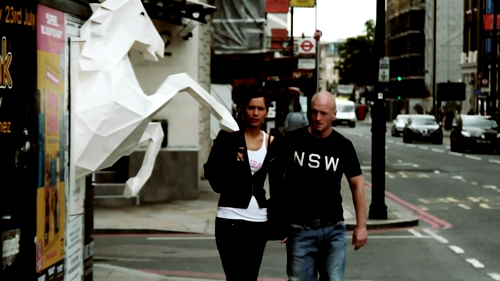 Each horse took around 35 hours to build.